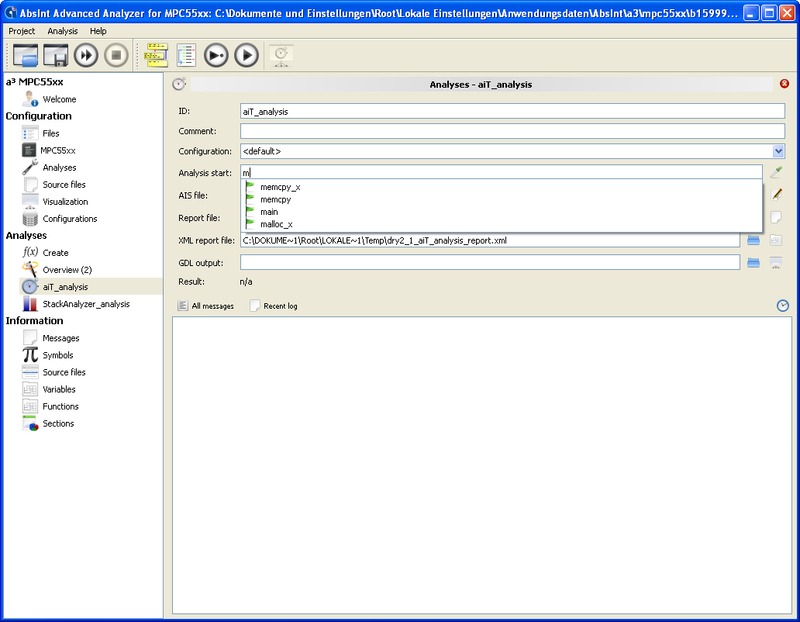 aiT WCET analysis module now available for MPC5668G (z6 core). 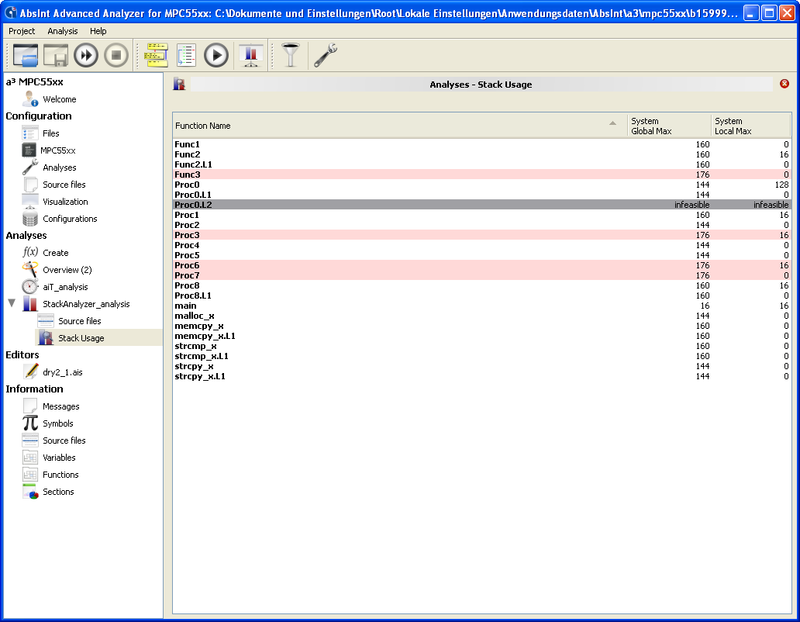 StackAnalyzer module now available for ARM Cortex. One QSK package for all operating systems. Added test for the GUI switch “Always read program headers”. Changed command line interface for run_test.sh by adding the operating system as a required first parameter. 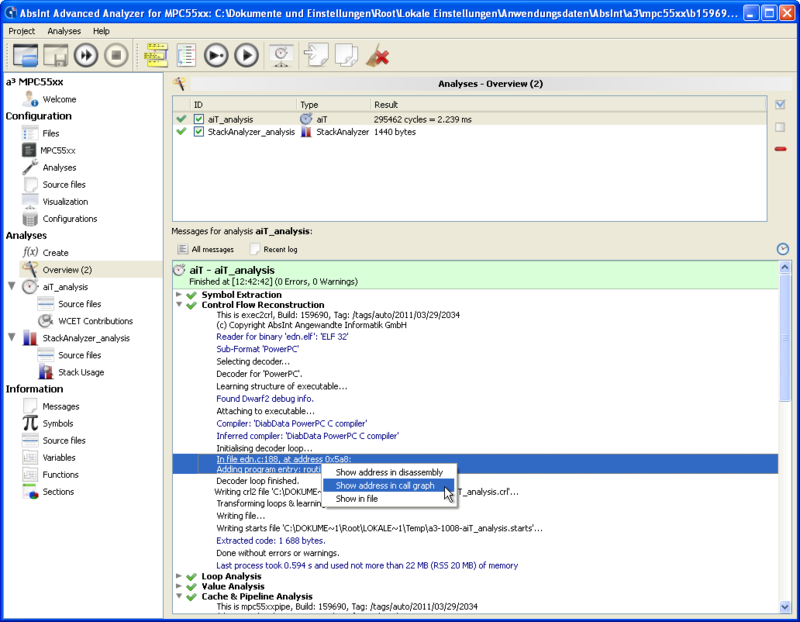 Reduced memory consumption and increased analysis speed. Some analyses may now be 25–50% faster. Mapping only allows infinite call string length; max-length will be ignored in AIS files. Minor extension to the XTC specification allowing the selection of the used core. Analysis messages now include the time and memory consumption of each analysis step. Added auto completion for analysis start points in Files view. Added global search in all source files. Improved usability of XML query dialogs. Improved, consistent filtering and search functionality across all Information views (Symbols, Variables, Functions…). Fixes for some glitches and crashes related to graph visualization. Editors: selecting text and hitting Ctrl + F now enables searching in the selected text only. TraceValidator: user can now visualize traces in trace validation analysis. The default names for reports and AIS files are now based on the analysis ID. 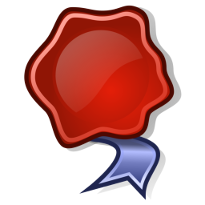 Various fixes and enhancements related to changing or opening a project. Interactive value analysis: filter out infeasible contexts. Global text report file and analysis text report file may no longer have the same filename. Improved tab order in GUI. aiSee Quick Reference added to the Help menu. MPC7448/MPC7448s/MPC603e: DRTRY mode settings fixed. MPC5XX: hardware configuration register SRAMMCR has been renamed to CRAMMCR_A and CRAMMCR_B. MPC603e: added switch for enabling/disabling 60x bus pipelining. C16x: configure external bus via register contents. V850: allow to choose register mode for the GHS compiler. More core specific changes. M68020, x86, H8: added MAP-file entry in the Files view. Contexts: the context parameter max-length is now obsolete. The Analyzer will always use “max-length=infinite” to increase analysis precision. If complexity is too large, decrease max-unroll. Hence, no more “any-history” and “...,” in the call string outputs. ResultCombinator: entry fields for expressions now allow C and C++ style comments. area .. features memory_type = "DDR"
PCP2: added AIS Quick Reference Guide. Fixed the ”immediately return“ annotation for instructions followed by a delay slot. Improved debug information for arrays of executables using the DWARF1 format. General improvements to reading DWARF1 debug information. allow ASAM file to be read via the --asam-file parameter of exec2crl, and ASAM variable names to be written to the report in addition to DWARF names. SPARC: improved detection of tail calls. V850: improved switch table decoding. Improved precision of sign extensions for value analysis. PowerPC: improved precision of value analysis. MPC603e/MPC750/MPC755/MPC7448: improved reporting of speculative memory accesses in the XML report for accesses that occur in code locations that are found to be infeasible. “Prediction file based (ILP)” now supports busy waiting loops. Removed the GLPK based ILP solver for performance reasons. Replaced the pathan2 toolchain with poptimize2ilp. Consolidation of tools for path analysis. Better handling of program ends in the middle of the program, such as external routines. More strict call-return constraints. If a routine must always return, this is now ensured. This can lead to more tight bounds and a better approximation of the WCET path in the graph. Optimized memory usage of the pipeline analysis framework. MPC755: fixed handling of write-back penalties for data caches. MPC755, MPC603e: improved cache access counting. MPC603e, PPC750: improved the PCI backend. Assuming a 32-bit PCI bus width, 64-bit accesses are now supported by splitting into two separate 32-bit accesses. PPC750: improved handling of tail instructions. TriCore 179x: improved model for burst accesses across DMI. The V850E2M CPU subsystem model has been re-implemented according to new information from Renesas. The pipeline interlock treatment in the V850E2M pipeline model has been refined according to new information from Renesas. Matching XSDs and XSLs are bundled for the release in the share/xsd directory. Users will always have local available copies. Performance improvements to WCET graph visualization. Better reporting of assertion violations in value analysis. No memory access timing found for [code fetch|data read access|data write access] of instruction <address>[ to <address range>][, context any-history]. Fixed problem with interactive pipeline mode, which led to corruption of text and XML reports. C33: the annotation “area .. count accesses;” now produces output.